We got our first Television in the 80s and were instantly hooked to it. Soaps, epics, news, films, sports and such proved to be thrilling and entertaining. But of all these, advertisements captured our imagination the most. 20 seconds of quick burst of the most vividly colorful, imaginative and sometimes, unknown to us, fake entertainment. At times, a film would be so boring that we would be waiting for the Ads to be played for some relief. All said, after many improvements in their bathing products and teeth cleaning pastes, my body still stays brown, my teeth are going bit yellowish. Yet each year, they come up with more improved products with additional “salts”, “Lemon” etc. All that remains to be added is some Tequila and we are all set. They are moving towards that direction by coming up with a “beer” shampoo. 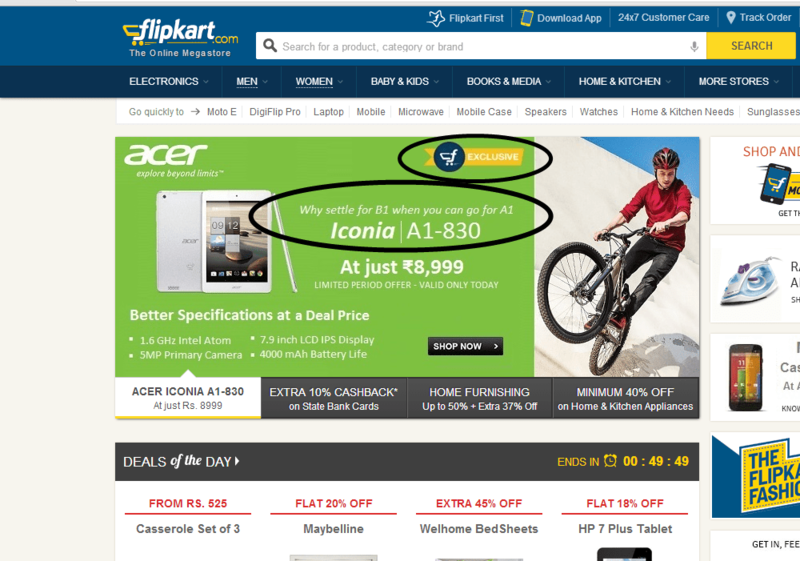 I frequently scan the internet for good deals on various products and I happened to chance upon two “Exclusive” launches, one on Flipkart and another on Amazon India . 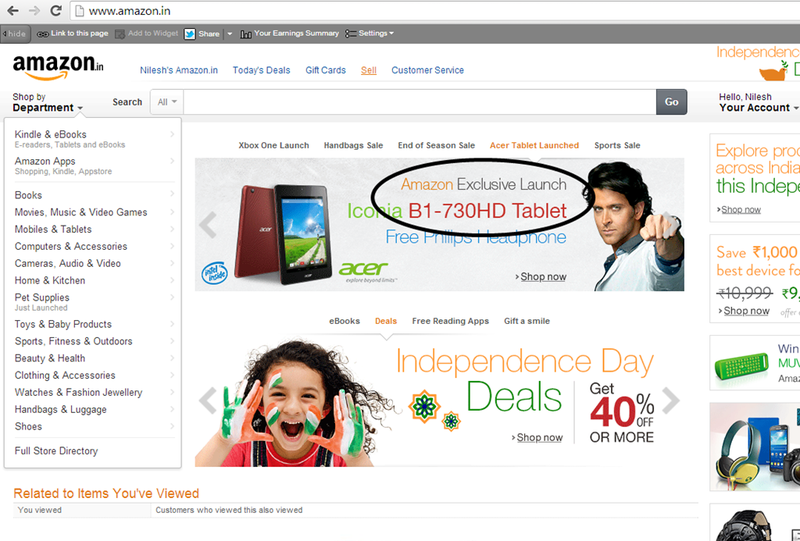 Both the tablets are form Acer. Branded Iconia. One model A1 and another B1. Both exclusive launches but on different websites. And the advertisement for A1 says “why settle for B1 when you can go for A1”. Funny!! Whether this campaign is created by Acer or by the individual online stores(in which case such an aggressive advertisement is justified) is unknown. The price difference is just Rs. 500 so I do not understand pitching both the Tablets at the same time. Check the specifications comparison here. This reminds me of formula one races where two drivers from the same team are allowed to compete against each other and ultimately it leads to a collision course.